Very large Galle vase with ferns, 76 cm. Signature with star, which means the vase was made between 1904-1906. 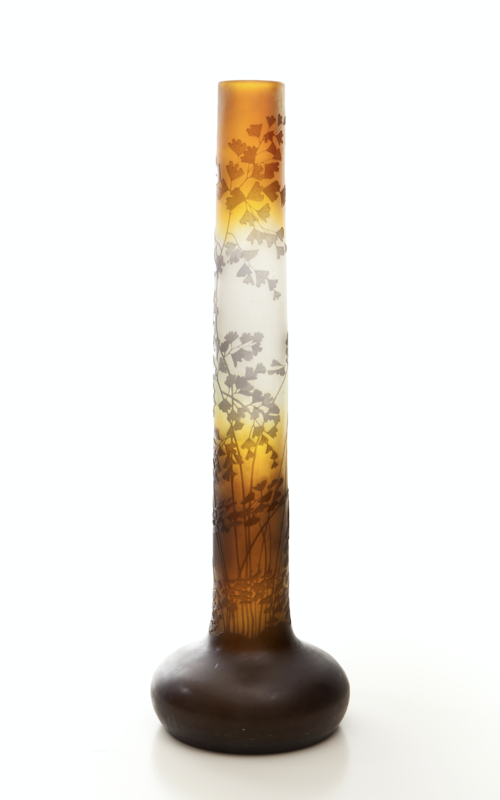 As the vase is made in thick solid glass, it will be possible to send it, ofcourse carefully wrapped.